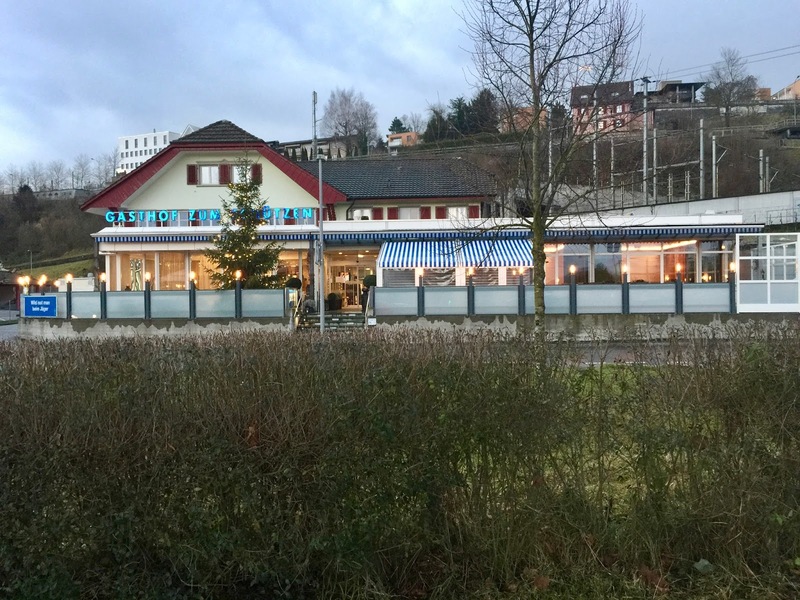 As I already mentioned, Restaurant zum Schuetzen (means hunter) can be found in the town of Aarau, albeit not exactly in the center but not far away. It can be reached from the historical old town in a few minutes by foot. It is located just across a big parking lot and a former industrial facility – whose company canteen it used to be –, which does not exactly contribute to an attractive setting. Also here I gave a hint in the introductory words … When it comes to the restaurant style’s, it is a bit difficult to categorize. It cannot be called modern, but it is not exactly traditional anymore. It is a large room, which is divided into several compartments. Whereas some get more natural light, a few are rather dark – the latter was the case where I was seated on my recent visit. There are various rooms for events as well as a modernly styled bar/longue area and a large outdoor seating. 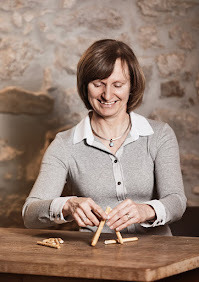 Restaurant zum Schuetzen caters for many tastes, you get here simple dishes, traditional Swiss food but also more refined courses. When going through the current menu, I even discovered something that seems quite adventurous for a more traditional restaurant, zander ceviche with coriander, peppers & chickpeas. Thoughtfully, it is also explained on the menu what it is about. In fall – when I dined here on my recent visit –, you get game dishes, too. The restaurant is well-known for these, maybe because some of the owners are also hunters and therefore at the source. When comparing my two visits here – more than a decade apart –, then I notice some changes in the direction of a more contemporary offer, probably due to the mentioned generation change. Opting for game dishes in hunting season in a restaurant that is named after it and whose owners are also into it, seems a good thing to do and it proved its worth! 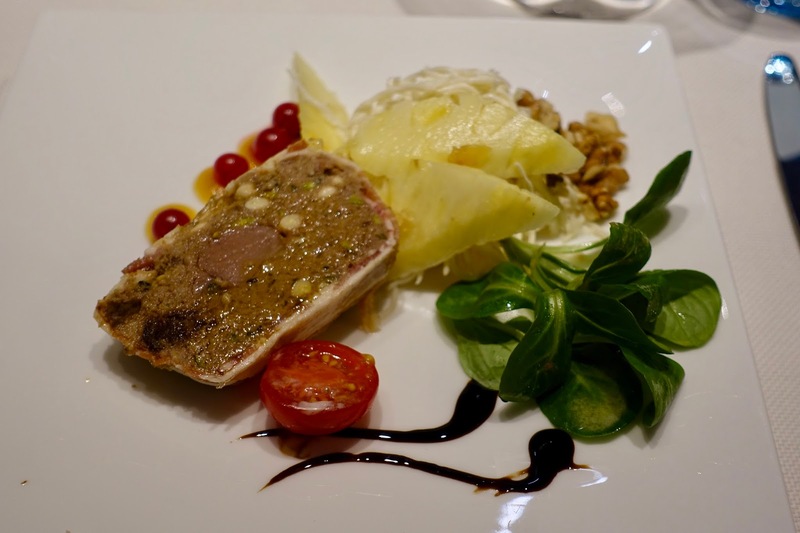 A tasty starter was the home-made game terrine with celery salad and fruit chutney. 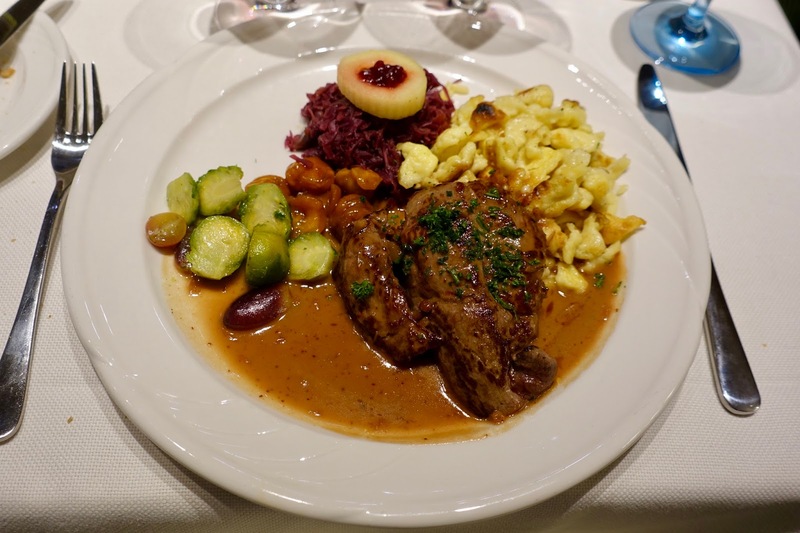 Also the main course worked out well, escalope of venison with port wine-game-cream sauce accompanied by sauted apple, red cabbage, ragout of Brussel sprouts, chest nuts and grapes as well as spaetzle. 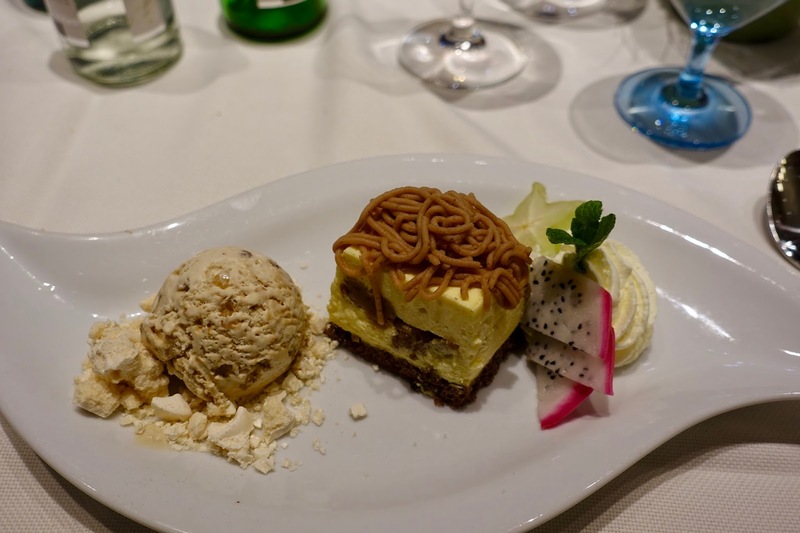 A good way to finish the meal was a Kirsch schnapps-cream tarte with vermicelles (chestnut mousse) paired with nut ice cream and meringue. On the occasion of my recent dinner at this restaurant, it was very busy and noisy. Half the town seemed to have family gatherings here, there were almost only groups present. Notwithstanding that, the staff was up to their task most of time, only at the beginning service was slow. Once the meal started, things went smoothly. The young employees were friendly, attentive and unobtrusive. Upon leaving we met some members of the family and they chatted with us. When catching sight of my camera, one of them even offered to take pictures of our party, a nice touch. One reason for the popularity of this restaurant apart from offering good food is certainly the fact that you get here sound value for money. 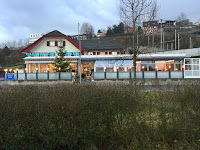 Considering the affordable prices, it is fair to claim that Restaurant zum Schuetzen is “the last People’s House in Aarau”, as the former owner (second generation) once did. 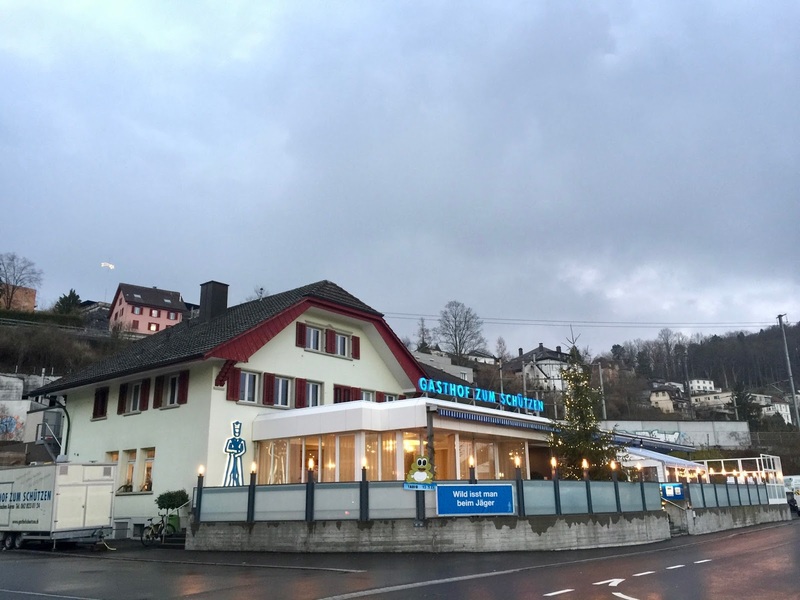 This family owned restaurant near the beautiful old town of Aarau has been in business for almost 25 years, now for some time under the lead of the second generation. While the place still caters for many tastes and different kind of guests, a breath of fresh air can be noted here and there, especially in terms of some contemporary options on the menu. Apart from that, you get here mainly well-made Swiss classics, without frills, fairly priced in a pleasant ambiance.